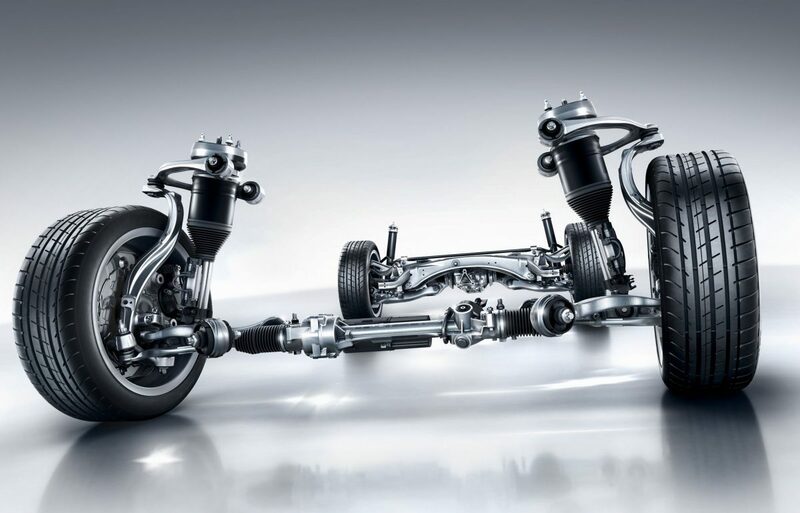 Basically, a suspension system is a set of interconnected parts that work together to decrease the transfer of energy from the wheels to the body of the vehicle. 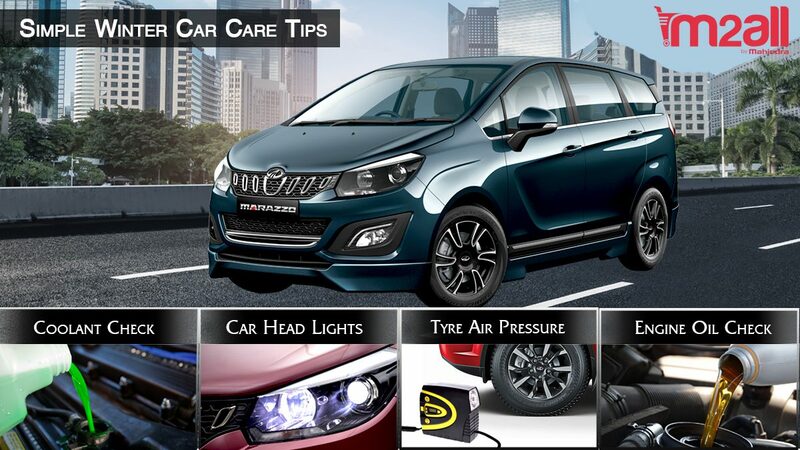 It basically maximises friction between tyres and the road , which in turn will provide stability and passenger comfort inside the vehicle. As per the principles of Vehicle Dynamics, that is the study of the forces on a moving vehicle, an intervening structure is required to isolate the transfer of vertical energy of the wheel into the frame of the vehicle. In the absence of this isolation, it will be impossible to handle a car over any surface. 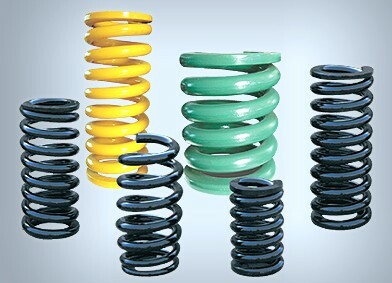 1)Spring: The springs are critical components in the suspension system that absorbs the shocks and bumps while the car is in motion. Most cars have four springs that are generally designed to last the lifetime of the car. 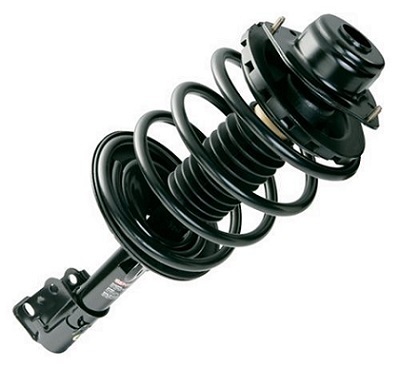 Generally made from steel, the spring is the core component of all suspension systems. 2)Shocks: Shocks or shock absorbers are another important component that are generally fluid filled and work in tandem with the spring to minimize the shocks or vibrations that are caused by the vehicle in motion. 3)Strut: Struts are components that join the spring and the and the shocks. 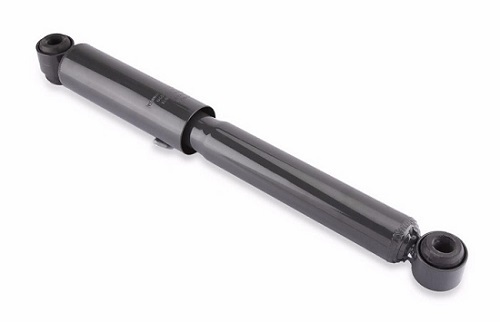 In their most basic form struts provide dampening function as well as structural support for the vehicle suspension. 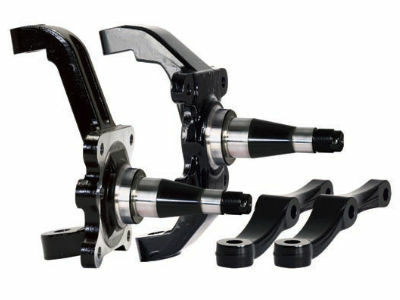 Struts and shocks are absolutely critical components in the suspension of a vehicle. 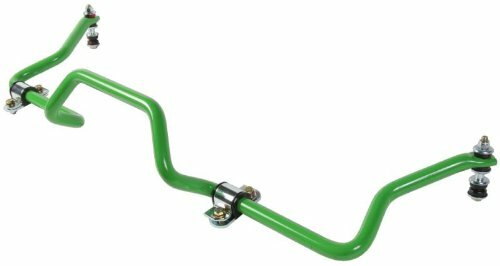 4)Anti Sway Bars: Another critical component, the anti sway or anti roll bars are used for providing further stability to the moving vehicle. The anti sway bar is basically a metal bar that joins the different sides of the suspension and helps in reducing the vehicle sway. 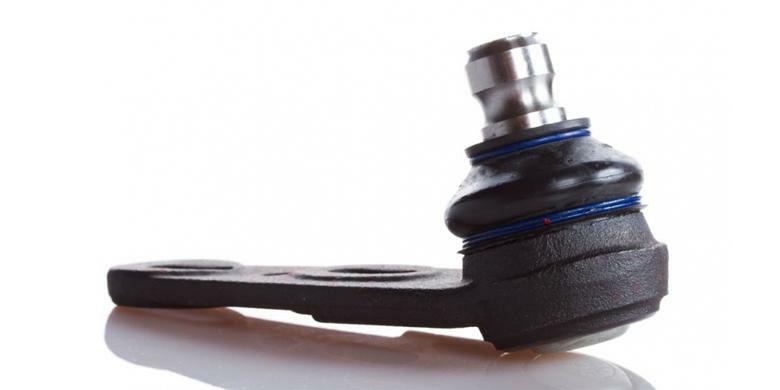 5)Ball Joints: The vehicle suspension is designed to move up and down while the vehicle is in motion which is connected to the spindle by ball joints. These Ball Joints are basically ball and socket joints that allow multi dimensional movement. Ball joints are lubricated with grease and sealed. 6)Spindle: The Spindle is an important part of the vehicle suspension system that ties the wheel and tyre into the steering system. The spindle is situated in the front of most vehicles and is like a short axle that is used to attach the wheel assembly to the vehicle. 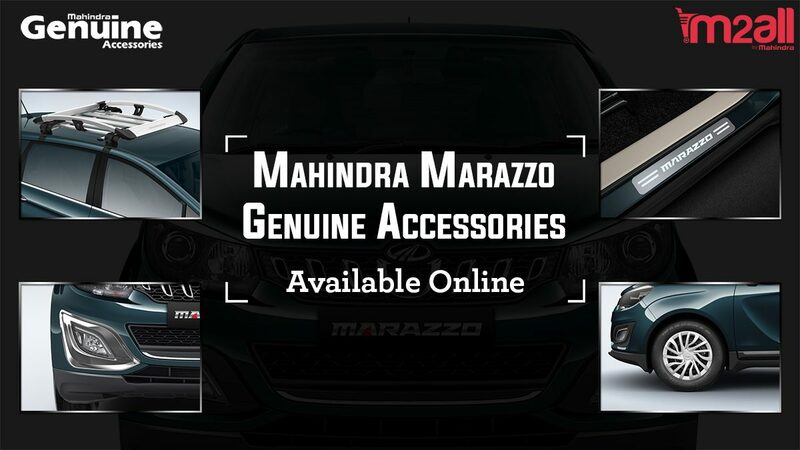 Based on the make and model of the car, there have been many different kinds of suspension systems that have been tried and tested in different brands of the vehicles over time. A rear independent suspension uses Mc Pherson strut whereas the rear wheel independent suspension has a shaft fixed to the wheel f the vehicle. These days computer controlled adaptive air suspension is also used in some high end vehicles. Other types of commonly used suspension systems are the double wishbone and twist beam style of suspensions. 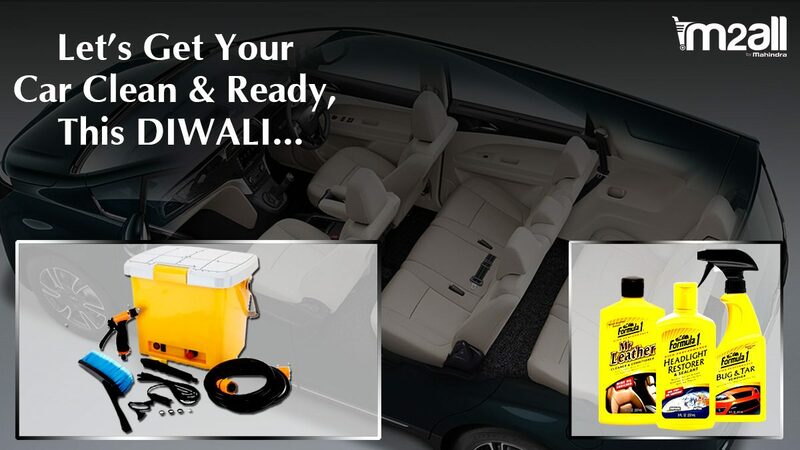 Most of us do not really talk or think too much about the vehicle suspension systems since they are not visible as well as do not provide an apparent value addition to the car. It is however important to understand that Suspension Systems are the most important part of the vehicle and due care must be taken to maintain them properly. Previous Previous post: How often is Engine oil Change needed?